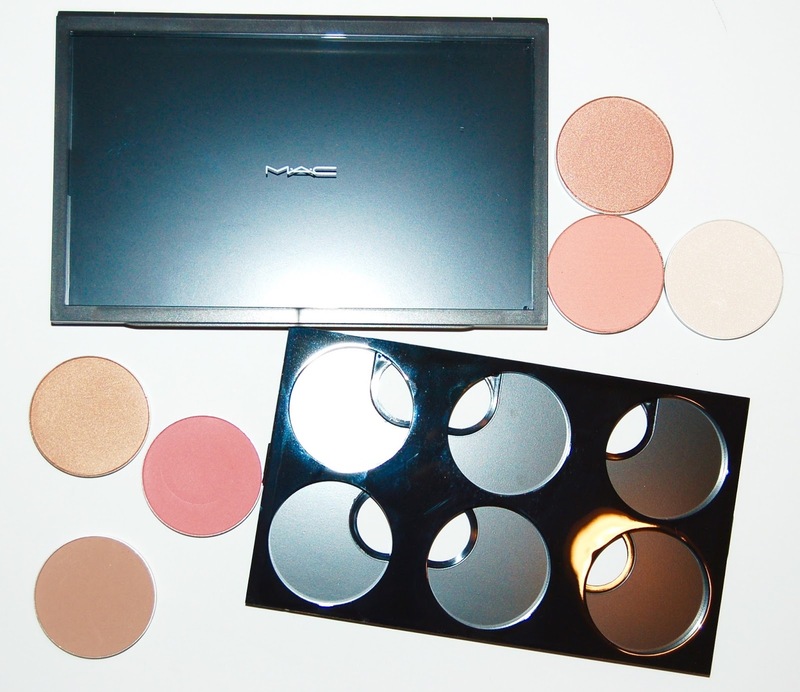 This palette includes 6 full size face powders from MAC including a Shaping Powder, Sculpting Powder, and four blushes in satin, sheertone, and sheertone shimmer textures. If purchased individually, the products making up this palette would cost $112, but together it only costs $60! The items that comprise this palette come individually packaged and you have to put it together yourself as shown below. Since I only own one MAC blush (Margin) and it's hands down the most gorgeous blush I own, I knew I wanted this palette so I could try some more MAC blushes at a great price. Here's how I set up the powders in my palette. Emphasize is an off white Shaping Powder that contains a slight sheen in the pan. Depending on your skin tone, it can be used to highlight...this barely shows up on my skin tone so I wouldn't bother using it as a highlighter. I've tried it to set my undereyes and it just makes them look super dry (to be fair, most powders don't look good under my eyes). I've also tried this as an all over face powder and it works fine as that. It would be a decent shadow though and maybe an inner corner of the eye highlight. Overall, I wasn't excited about Emphasize. Sculpt is a matte taupe Sculpting Powder that can be used to contour. My skin tone is light to medium depending on the time of year. Sculpt works nicely as a subtle contour powder for me. It probably won't be very useful as a contour powder for anyone darker than me (when I'm tan). Peaches is a peach Sheertone blush. I love the color of this blush but it doesn't have a sheen, in fact, I'd actually call it matte once it's on the face. Fleur Power is a bright pink-coral Satin blush. This is VERY pigmented and easy to overdo but blends out easily. Like Peaches, it doesn't have a sheen and looks matte once it's on my face. Trace Gold is a gold Sheertone Shimmer blush. I really like this blush, it's super light so it's easy to build up and almost impossible to overdo. It provides a very subtle (almost undetectable) shimmer once it's applied. Trace Gold could also be classified as a subtle bronzer. Sunbasque is a gilded peach with gold Sheertone Shimmer blush. This is the same type of blush as Trace Gold and could also be classified as a bronzer. It's my favorite blush in this palette because I prefer peach blushes with a sheen or shimmer. 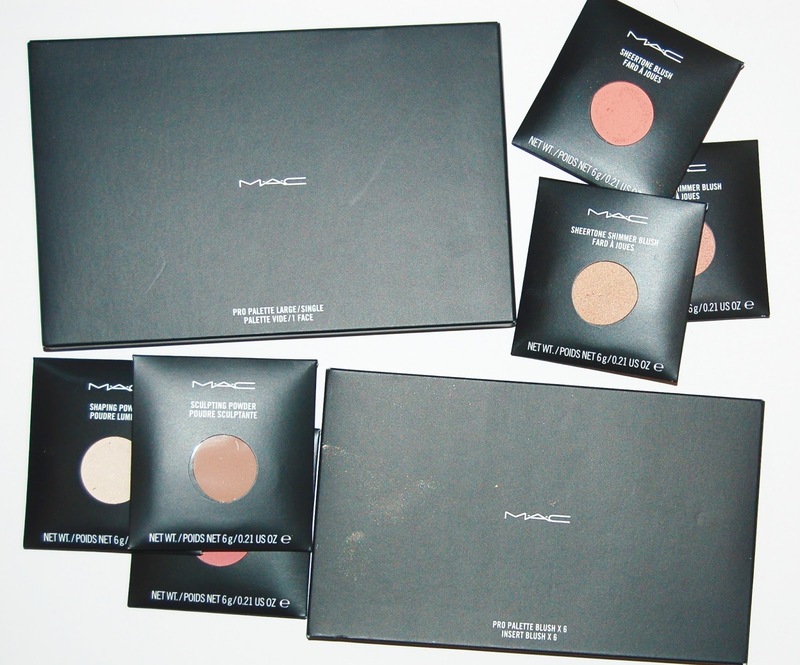 All of these powders are super soft and apply beautifully and blend out very nicely. 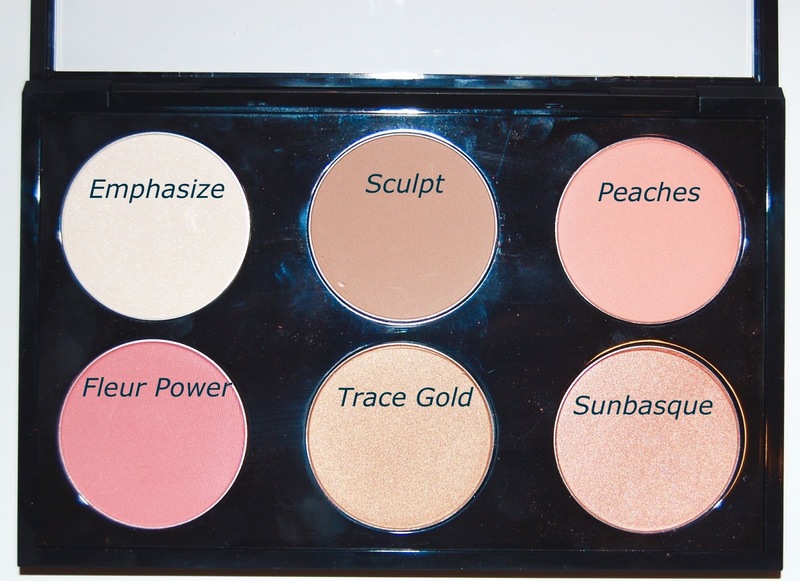 Overall, I love the MAC Contour & Sculpt Yourself Palette! At $60 it's a great deal and a great addition to my collection. 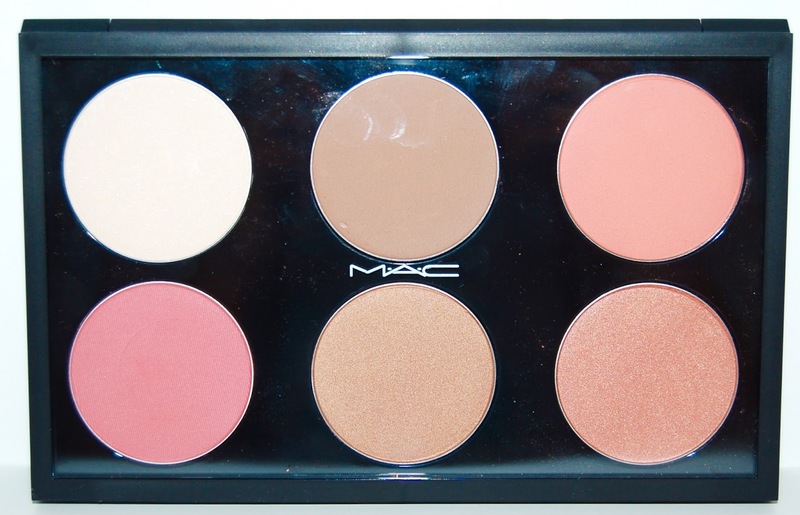 If you are like me and don't have that many MAC blushes already in your collection, I highly recommend this palette.